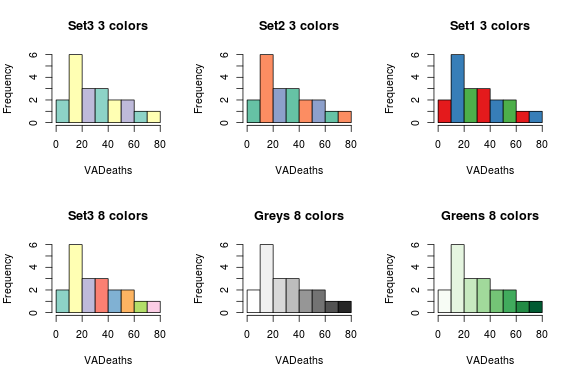 The lovely colors at http://ColorBrewer.org can be used for much better color palettes in R.
Note-ColorBrewer is Copyright (c) 2002 Cynthia Brewer, Mark Harrower, and The Pennsylvania State University. All rights reserved. The ColorBrewer palettes have been included in the R package with permission of the copyright holder.